During the holidays, it is nice to have a festive drink in hand. But not everyone drinks alcohol, so I like to make mocktails to serve as well. Usually ones with bright festive natural color, like the pomegranate lemon raspberry one I am sharing with you today! This drink is really delicious and is actually pretty healthy, full of antioxidants. I top it off with sparkling water to make it even more fancy. If you wanted to serve this though as a cocktail, you could use champagne instead of the sparkling water. Combine all ingredients except the sparking water in a martini shaker with a few ice cubes, place the lid on and shake. 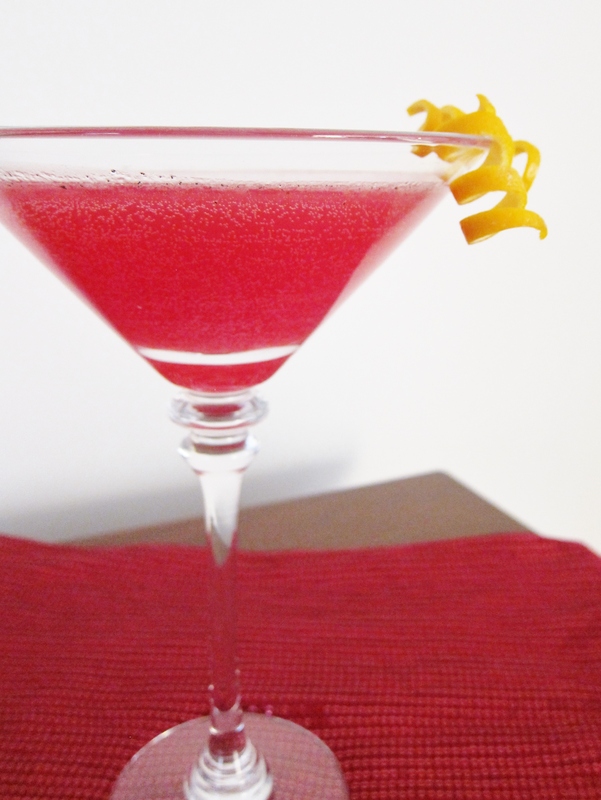 Strain into a martini glass, and top off with the sparking water, and garnish with citrus zest.